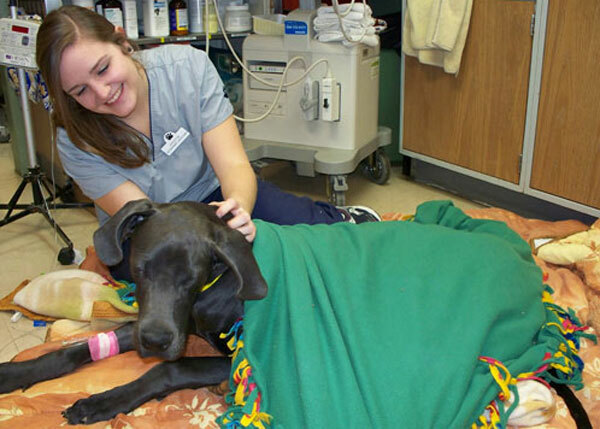 Shoreland Animal Hospital is now performing the TTA surgery, which is the newest procedure, and probably the best repair for dogs over 50 pounds. The most common knee injury in the dog is rupture of the Cruciate Ligament. This injury can occur at any age and in any breed, but most frequently occurs in middle aged, overweight, medium to large breed dogs. This ligament frequently can suffer a partial tear, leading to slight instability of the knee. If this damage goes untreated, it most commonly leads to complete rupture and possibly damage to the medial meniscus of the knee. 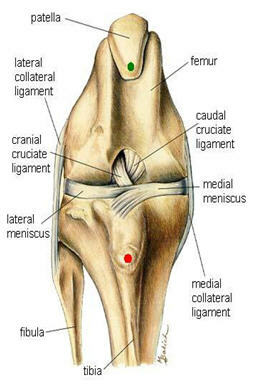 The meniscus acts as a cushion in the knee. Complete rupture results in front-to-back instability, and internal rotation of the lower leg. Untreated legs usually become very arthritic and painful from the instability. Read more. If your dog has been diagnosed with a Cruciate injury, please contact the office to schedule a surgical consultation.